And welcome to the Nekoya Cat Hotel, the leaders in holiday cat care in Singapore. Our establishment was founded in 2016 with a simple mission; to make travelling for cat owners as well as cat boarding a peaceful and pleasant experience, time and again. Our hotels provide holistic cat boarding services exclusively for feline guests through providing restful reprieves that focus on complete care for all their needs – Physically, emotionally, and mentally. Have a look around, ask us questions, or come see our accommodations. We look forward very much to being the shoulder you lean on when it’s time for a well-needed rest and reprieve away from home. And welcome to the Nekoya Cat Hotel, the leaders in holiday cat care in Singapore. Our establishments provide holistic cat boarding services dedicated exclusively to caring for felines. Our mission is to make cat boarding a positive experience for our feline guests through providing a restful reprieve that focuses on complete care for all its needs – Physically, emotionally, and mentally. We strive to keep our guests happy and healthy through mental, physical and emotional engagement. By actively managing all facets of their interactions, the cats in our care (begrudgingly) leave well-rested and integrate back to life at home seamlessly. Nekoya cat hotels are free of friends of the canine kind. Adorable as they are, you won’t find any dogs within our premises, whether for temporary visitations, short or long-term stays. From check-in to checkout, there’s never a difficult moment. We are a low-stress handling facility, so your cats will never be forced to do anything they dislike, and we play soft, ambient music to soothe and calm the most frazzled of guests. Our boarding facilities are air-conditioned 24 hours a day, 7 days a week at a temperature that is comfortable for cats. Each private cabin features ventilation windows to keep our guests feeling cool and comfortable throughout their stay. Each of our guests are entitled to daily personal interaction with our concierge on duty. It’s important to us that we set aside time regularly to keep them happy through a relaxing brushing, or private play time! We know your cats are habitual creatures. 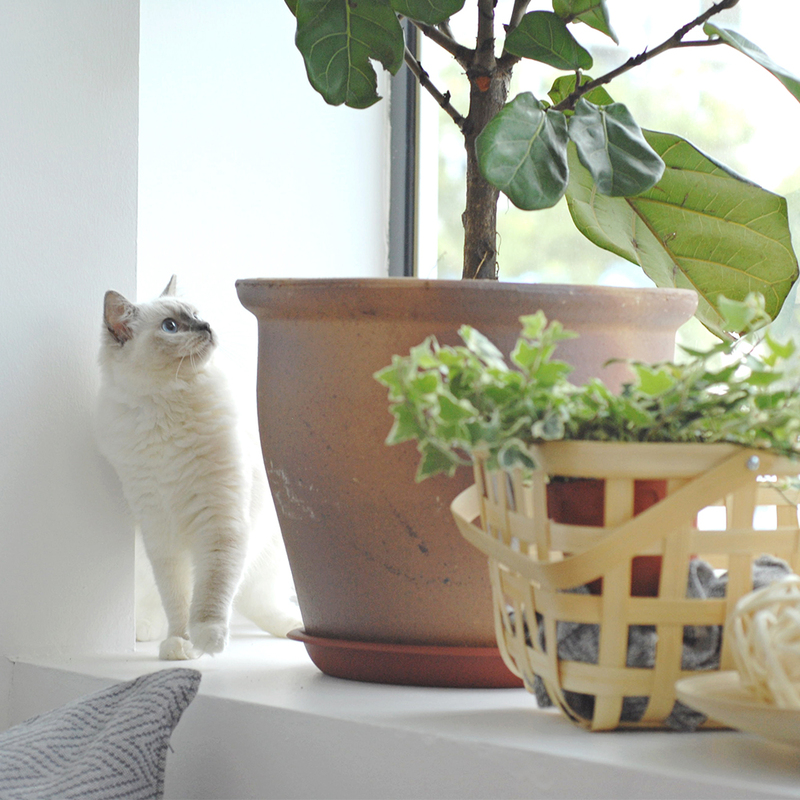 As cat owners and lovers, our staff are happy to help mimic your cat’s schedule, and dedicated to helping guests adapt to their new surroundings through constant care and supervision. Crafted with your cat’s needs in mind, Nekoya cat hotels feature intelligently designed, private cabins with separate resting, feeding and bathroom areas. As the first and only indoor cat boarding facilities in Singapore, our quiet and secure locations provide restful reprieves for guests. 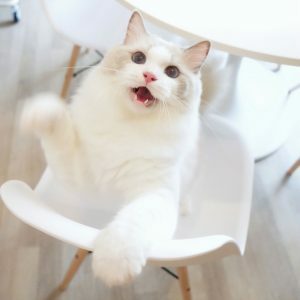 Custom built to prevent and reduce any stress and anxiety that might be felt as a result of being away from home, our cozily furnished hotels are perfect for accommodating cats of all life stages with different preferences and personalities. We run our hotels the only way we know how – The best way. At Nekoya, you can expect uncompromising levels of discipline in all the things we do. From providing unparalleled standards in cat boarding through excellent service, to tip-top cleanliness and stringent admission guidelines, we understand that peace of mind for you begins with our ability to uphold the highest standards of cat care. We’re sure there’s a lot more you want to know. Let’s get purr-sonal! You should always ask questions and arrange to view your boarding premise of choice prior to committing to a reservation. 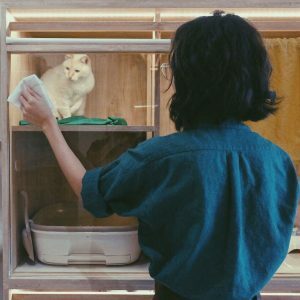 We enthusiastically welcome private visitations to the Nekoya Cat Hotel by inquisitive guests at our facilities at Bukit Timah or Paya Lebar. Our caretakers would be pleased to make your acquaintance!